England's Justin Rose shot a superb 66 to move within three strokes of leader Jason Day after two rounds of the Arnold Palmer Invitational at Bay Hill. Australia's Day, the overnight leader, sank a 35-foot putt on the last to complete a seven-under 65 for 13 under. Rose made six birdies in his bogey-free round that took him to 10 under, one behind Sweden's Henrik Stenson (67). Northern Ireland's Rory McIlroy shot a 67 after his opening 75, but is 11 strokes behind Day on two under. McIlroy has not given up hope of challenging Day, saying: "I need to set myself a target and try to get to that, try to emulate what he has done over the first two days. "If I was to go out and shoot a couple of 66s, I don't feel like I would be too far away. I can't think about Jason being 11 shots ahead of me." Day made seven birdies and no bogeys as he improved on his opening round of 66 by one stroke. "It would be nice to go eight under tomorrow," joked the world number three. "I said after Thursday's round I was just trying to stay patient and came out and started off really solid and kept it up." 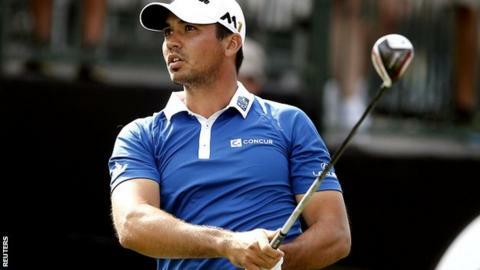 Rose started his round nine shots behind the surging Day out on the course, and the Englishman was delighted to have reeled in the Australian to some extent. "I was certainly aware Jason had played well but it didn't seem to bother me or change the way I wanted to go and play," said Rose. "I just wanted to put a good score together and I am very pleased with my position going into the weekend now." England's Paul Casey is also in contention on seven under after a second-round 69.